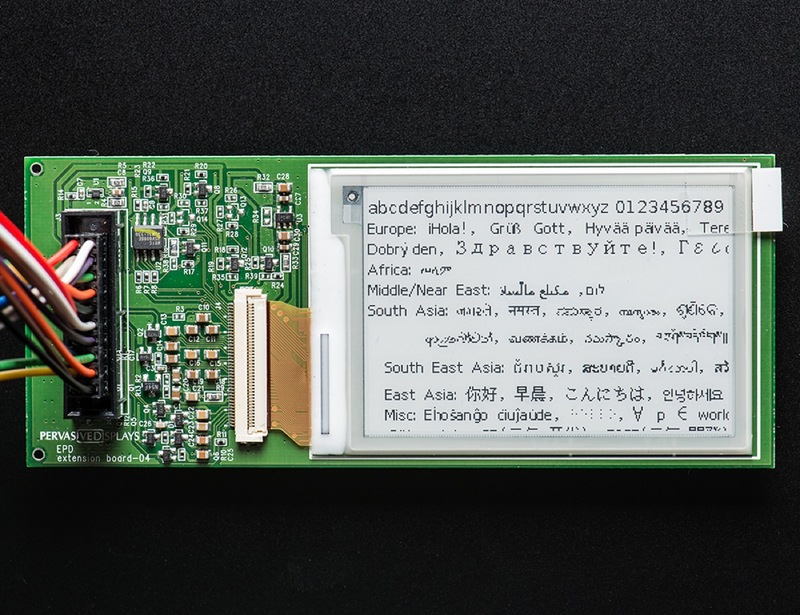 EReader Library for Adafruit eInk products « Adafruit Industries – Makers, hackers, artists, designers and engineers! If you have an E-Paper Display form Adafruit, this library will allow you to draw points, lines, circles, ellipses, ASCII text and Unicode text. Oh, and display images (in the WyoLum Image Format). Please consider this an alpha release and help us find the bugs. Adafruit eInk displays in stock and shipping!